Mr. Olmec is staging his campaign on saving existence. One time game show host, Mr. Olmec, from Nickelodeon's “Legends of the Hidden Temple,” has announced he will actively run for the American presidency in the 2012 election. The December 21, 2012 phenomenon is based upon Mayan long count calendar ending at that date. Mr. Olmec claims that as a true blood Mayan god himself, only he has the ability to prevent the damnation of the entire planet. Mr. Olmec's Mayan lineage places him squarely inside the good graces of the Mayan people, and his ability to commune with other Mayan spirits will transform them from evil into benevolent. And what sort of benevolent spirits have ever brought about the end of all life as we know it? But this relationship raises many questions about the legitimacy of his campaign. With it being a modern day election, people might ask to see Mr. Olmec's birth certificate. However, Mr. Olmec cut this line of questioning before it could even be asked. Ever since returning Benjamin Franklin's electrified key in a season 2 episode of his show, Mr. Olmec has been a true blue American. No other candidate has indebted itself to this country as much as Mr. Olmec. From seeking out Harriet Tubman's lost walking stick to recollaring Davy Crockett, Mr. Olmec and the heart of Americana go hand in hand. the Silver Monkey-filled gameshow are not of voting age. “I might not have been born in the United States, but that doesn't change my love of this country,” said Mr. Olmec. In addition, Mr. Olmec supports repealing any charter that supports the Department of Health. “I know where Ponce De Leon kept his Fountain of Youth. With eternal youth, who needs health?” the stone aperture questioned. 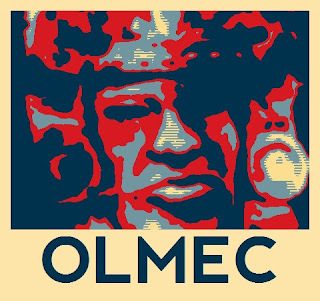 To support the campaign, Mr. Olmec has launched a Twitter handle at @Olmec4USA. The big giant head proclaims if anyone has questions about his platform beyond saving all humanity, he's more than open to talking about his radical initiatives through this social media platform. When asked how the possible revival of “Legends of the Hidden Temple,” would affect his ability to lead this country, Mr. Olmec bluntly replied that presidents not only can moonlight, they're expected to do so. He then cited how President Barack Obama appeared on an episode of “Mythbusters” and President Bill Clinton contributed numerous saxophone solos to All-4-One's self-titled debut album. Indeed they aren't mutually exclusive, but what is, is choosing one of the other guys while planning to do something in 2013. It just won't happen without Mr. Olmec firmly in charge at the White House.